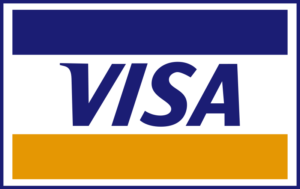 We accept cash, CareCredit, American Express®, MasterCard®, Visa®, Discover®, FSA and Debit Cards with the Visa® or MasterCard® logo. Payment is due at the time of service. After claim submission of participating insurance plans, the patient is responsible for any remaining balance. This balance must be paid in full thirty days from the receipt of care. We now accept Medicare, Blue Cross/Blue Shield and Aetna. We participate with EyeMed Vision Care, Humana Vision Care Plan, and Superior Vision. Please always check with your insurance carrier or call our office at (770) 623-8564 and we will assist you in determining your eligibility. Similarly, we give courtesy discounts for professional services on many insurance plans. These plan include but are not limited to: AARP; Cigna; Coast to Coast; Coventry; ECPA (Non-insured); Humana; Kaiser: Principal; Progressive; United Healthcare; and VSP. Since these discounts vary, please contact our office at (770) 623-8564 for full details. Also, proof of insurance is required at the time of the examination in order to apply these discounts. We are also happy to extend a 30% professional courtesy to AAA® members who present a valid card at the time of their eye examination. Please arrive at least fifteen minutes prior to your scheduled appointment to complete and review your insurance and personal information. In order to maintain accurate records and to provide you with the best eye care, we recommend that you complete this information at every annual eye examination. We strive to accommodate every patient and to ensure fairness, if you are more than fifteen minutes late, our office may need to re-schedule your appointment.